Preferred Senior Living of Ellsworth is located just minutes north of town near the scenic Ellsworth golf course. Our setting offers the tranquility of rural living with the convenience of nearby village shopping, medical clinics, and community activities. Preferred Senior Living strives to provide seniors with an enriching lifestyle while offering excellent care and services by professional, friendly and compassionate staff 24 hours a day. Services will be tailored to individual needs, adjusting cares accordingly. Homey apartments offer the privacy and comfort of your own home while our beautiful building is designed to promote a sense of community and security. Enjoy life to the fullest. Satisfy your appetite with a home cooked meal. Participate in stimulating activities. Relax in front of a cozy fireplace. Soak up the sun on the outdoor patio or share stories around an evening campfire. Tend to the raised gardens. Take a stroll on our walking paths taking in the fresh country air. Enjoy the company of new and old friends. All of this is right outside your door! 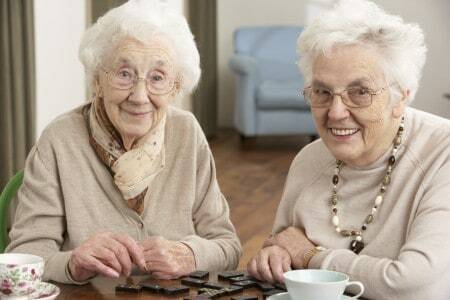 Preferred Senior Living of Ellsworth is here to provide a new option for senior living in your own hometown. Striving to provide our seniors with the highest quality of care and services within their own community. We would love to warmly welcome you home!